Thirty years ago, dark magicians unleashed new power on the earth fueled by demons. Governments toppled, millions died and magicians ended up on top of the food chain. Twenty-four-year-old Becca survives these dangerous times by relying on her wits, her fists, and the limited goodwill of her boss, a local crime lord. When news comes of a fire back home and the family she left behind dead, she realizes her dark past has finally caught up to her. On the hunt for her missing sister, she must rely on Darion, a treacherous ex-boyfriend with ties to the local coven for back-up. Problem is he’s a pyromancer that can’t be trusted, especially with her heart. 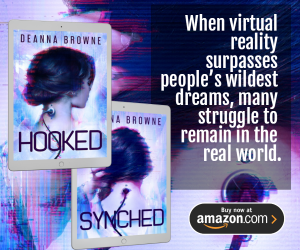 Becca’s forced to navigate a dangerous web of deceit and must decide what she’s willing to sacrifice to save her sister.